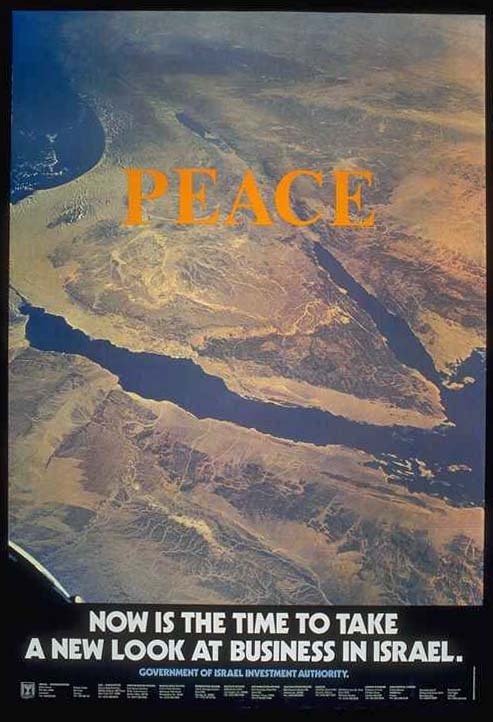 "Settlement" refers to the Israeli goal of encouraging the permanent settlement of Palestinian refugees in Arab countries where they reside as exiles in most cases. 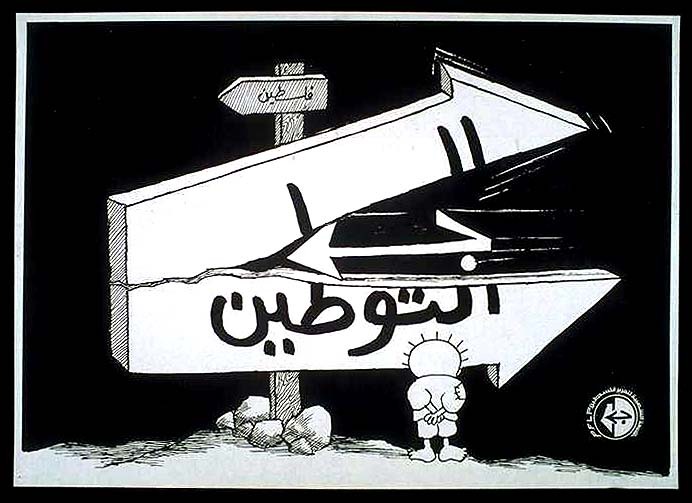 The sign reading "settlement" and pointing to the right is split by the symbol of the PFLP. The small sign at the top of the post pointing in the other direction reads "Palestine" symbolizes the Palestinian determination to return.